A flower of Orobanche californica, sectioned so as to show two of the four stamens. The pollen has mostly been shed from the pale yellow-colored anthers at this stage. 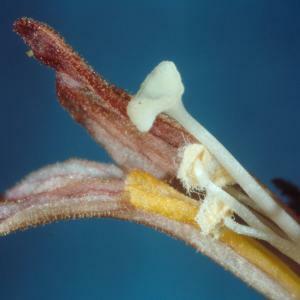 The stigma is white and has two pointed flaps.